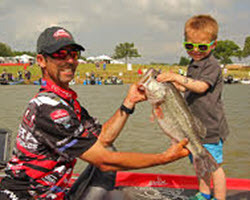 As I’m sure most of you know, The Ike Foundation is a charity set up to get kids fishing early. The idea is that if we get them started early, when they’re little, they’ll fish all of their life. But, even if they don’t, they always have positive memories of fishing and the outdoors. That’ll keep them on our side even if they aren’t out on the water. That’s super important because the anti-types aren’t going to go away and temporary wins for us won’t guarantee final victory. We have to work at preserving this wonderful sport every single day — no exceptions. 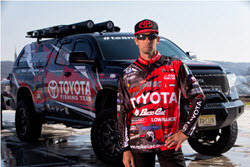 So anyway, we had great support from the fans and from our sponsors, Toyota and Pure Fishing. They understand the importance of bass fishing and, frankly, they put their wallets in front of their mouths. I’m told that the Paint-Your-Own-Bait booth was an especially big hit. That’s where the kids paint and design their own baits. They can do anything they want. Well, pretty much anyway. It’s interesting to see what they come up with. Some of it is really creative and some of it is really realistic. 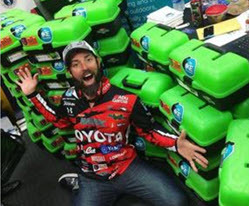 Another thing is that we gave away 500 Flambeau tackle boxes with Ike Starter Kits in them. I’m especially proud of that program. It’s one thing to talk fishing. That’s all well and good. What we do, however, is give them the basic starter tools they need to go out and actually catch a fish. That matters even more. The final thing I want to do here is remind everyone reading this that The Ike Foundation is a real charity that relies on the support of our sponsors, our fans, and the entire fishing community, really. There are lots of volunteers who generously donate their time and resources and all the proceeds of The Foundation go right to the kids. Out website is at https://theikefoundation.org. 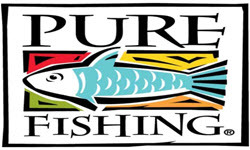 Our mission is to get more kids fishing and in the outdoors, especially youth in areas where those activities are not readily available. Help us if you can. We appreciate your help! We’re done with the Classic roundup. Next time we’ll catch a few bass.